You don’t want to miss DAY 1 and DAY 2 of our Unit Study for this series! 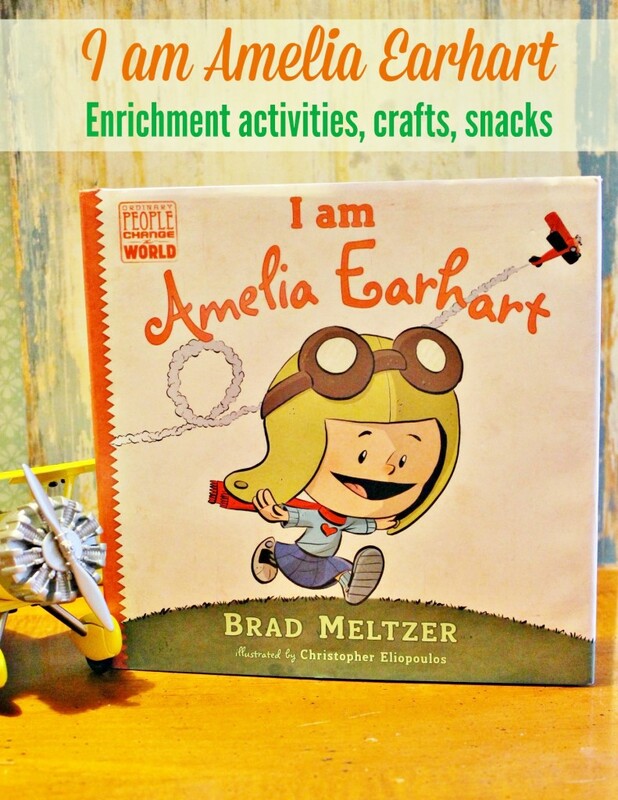 It’s DAY 3 of our Unit Study on Brad Meltzer’s “I am Amelia Earhart” book and the kids are eager enough to want to build their own flying machine and take off around the world! I love the enthusiasm for learning – this is such a fun book to focus on! 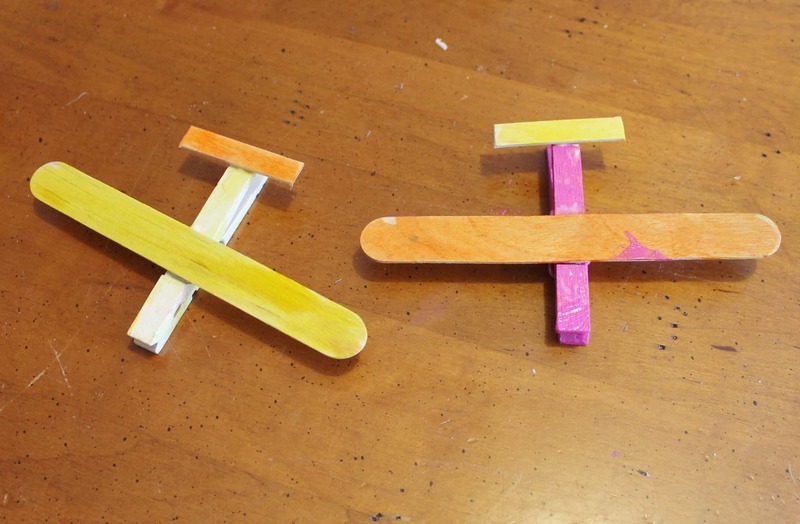 Clothespin Airplanes- These went perfectly with our airport play mat we featured in DAY 2 and were super fun to make. You can pick up craft sticks and wooden clothespins at Dollar Tree. Lay out newspaper, paint, paint brushes, craft sticks and clothespins. 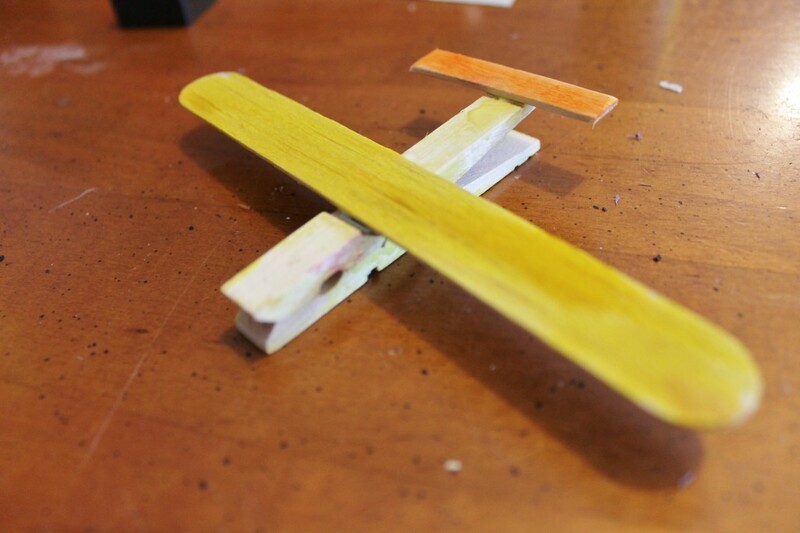 Glue a large craft stick to the top of clothespin for wings, then cut craft sticks in half to make the tail of the airplane- and glue it onto the end. Let your glue dry completely. To make it sturdier for playing with, use hot glue. (The kids actually threw these outside and they flew pretty well) You can even make a bunch and create a mobile to hang in the house! The Sky is the Limit Parfaits– Layer blue jello and cool whip for a sweet treat that says “The Sky is the Limit”. Depending on the age of your child you can easily insert discussions about weather, clouds, atmosphere, etc. 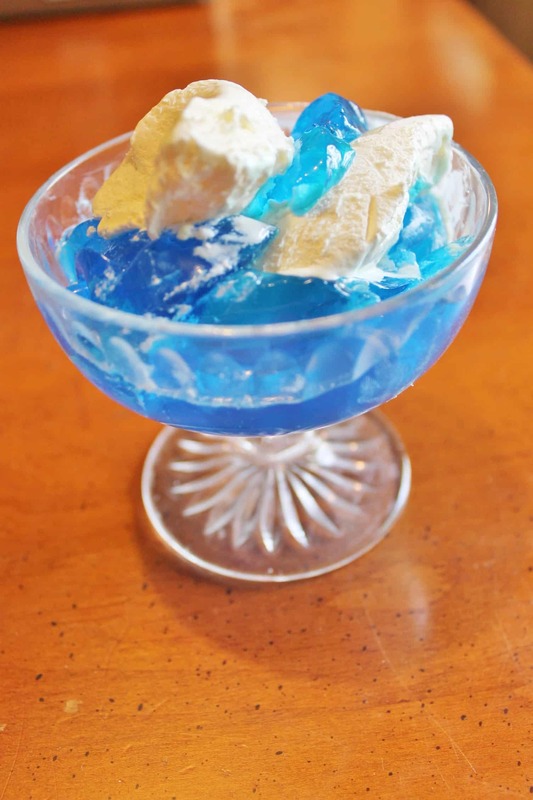 while you enjoy your snack! Safari LTD has an AWESOME “In the Sky Toob” that is perfect to pair with today’s lesson and creative play! Don’t miss out on our DAY 1 Amelia Earhart Unit Study where we designed our own airplane, propeller snacks, and packed for an adventure! Don’t miss out on our DAY 2 Amelia Earhart Unit Study where we zoomed across an Airport Play mat, created Airplane candy & more! Don’t miss out on our DAY 4 Amelia Earhart Unit Study where we created our own adventure records, pretzel stick airplanes & more! Don’t miss out on our DAY 5 Amelia Earhart Unit Study where we created paper airplanes, writing prompts, devoured snacks & more!